The holidays are right around the corner and that means you need to finish up gift shopping...but you have no clue what to get your friends! Have no fear! Sephora, the beauty mecca, has come to your rescue with amazing holiday sets that will make even your pickiest friend jump for joy! This awesome pallet by Kat Von D is great for all you girls who love a little rock edge to your style. This kit is just $55 ($180 value). It includes 1 pair of eyelashes, 12 eye shadows, 3 primers, and a double-ended Saint/Sinner Rollerball which is Kat's exclusive fragrance for Sephora. This awesome collection of glosses by Smashbox will definitely add some glam to any girls look! This gift set includes 2 full size glosses and 4 mini glosses for only $29 ($96 value) and also have exclusive shades just for the holidays! Smelling good is just as important as looking good! With this mini sampler by Sephora, for only $75 ($145 value), you get to try out 9 different amazing fragrances such as Juicy Couture, DKNY, and Dior to name a few! The best part is that included in this set is a voucher you redeem at Sephora for a full size bottle of your favorite fragrance from the set! 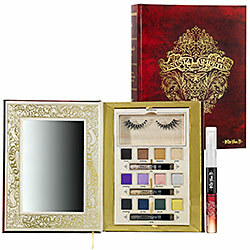 For the busy girl that doesn't want to throw her whole makeup bag in her purse this set by Too Faced is perfect! This kit includes 8 eye shadows, 1 gloss, 1 bronzer, and 1 blush, costing only $19.50 ($48 value) this is sure to fit into your gift giving budget! The gorgeous ring by Juicy Couture is an amazing accessory and as an added bonus inside the ring is a solid perfume! This is perfect for the fashionista in your life because she will look and smell good! This gold ring is $42 but a great value because of its dual purpose! I would like to have a Beauty Q&A about anything hair and makeup so please e-mail me all of your questions and I will feature them in an upcoming article. Please contact me at nicolemay@inspirer.nu.